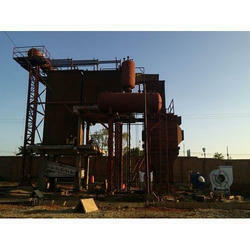 We are a leading Manufacturer of high temperature boiler from Ahmedabad, India. Keeping in mind the diverse requirements of our clients we are involved in manufacturing, exporting and supplying a wide range of High Temperature Boiler in India. Our offered product Keeping in mind the diverse requirements of our clients we are involved in manufacturing, exporting and supplying a wide range of High Pressure Temperature Resting Boiler Gauge in Mumbai, Maharashtra, India. Our offered product is developed by using top grade raw material and advanced technology in adherence with industry standard. We assure our customers that this product is tested on varied parameter in order to ensure its quality. Apart from this, our provided product is available at very reasonable rates. It is developed by using top grade raw material and advanced technology in adherence with industry standard. We assure our customers that this product is tested on varied parameter in order to ensure its quality. Apart from this, our provided product is available at very reasonable rates.